That is what gives the Mayari sandal its special look. For the Pull Up line, the Birko-Flor is processed in a special manner. The result is a vibrant, two-tone effect that is nearly impossible to tell apart from real leather. This is just one of the things that makes the sandals into everyday footwear that can be easily and casually mixed and matched with your outfits. 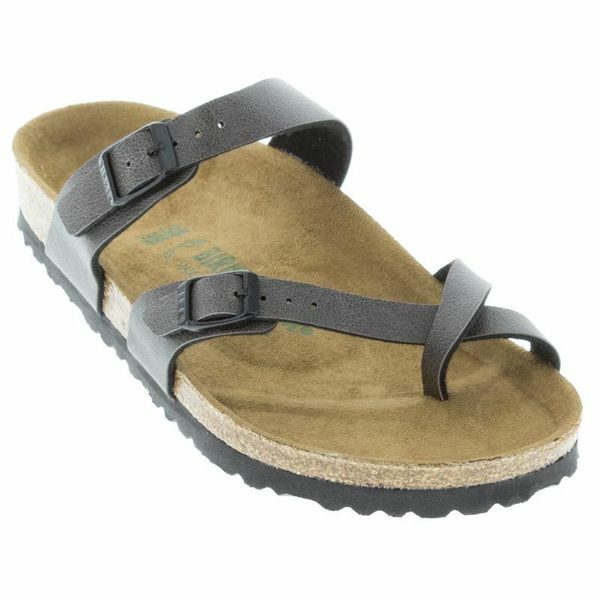 The vegan ideology incorporates the intentional use of synthetic and natural products to create an entirely animal-friendly line that delivers the reliability and style combination that’s come to be expected of the BIRKENSTOCK shoe.